Mr. Gasket Flat Black Valve Cover Breathers are a fast, easy way to help customize your engine compartment and get that stealth look. These push-on steel breathers have 1-inch outside diameter necks and 5/8-inch breather tubes and an integral metal baffle/foam element. They're designed specifically for small-block Chevys but fully compatible with all factory and aftermarket valve covers with 1.250-inch holes. This push-on breather is internally baffled and uses a high-porosity filter great for high performance use. It fits factory and after-market valve covers with 1.22" diameter hole and has an integral metal baffle/foam element combination. 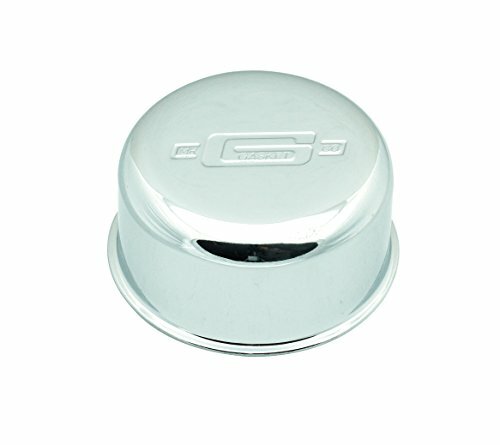 Mr. Gasket Push-On Breathers has beautiful chrome top and base finish which add sparkle to the engine compartment. Mr. Gasket logo is not embossed on top of these chrome breathers. 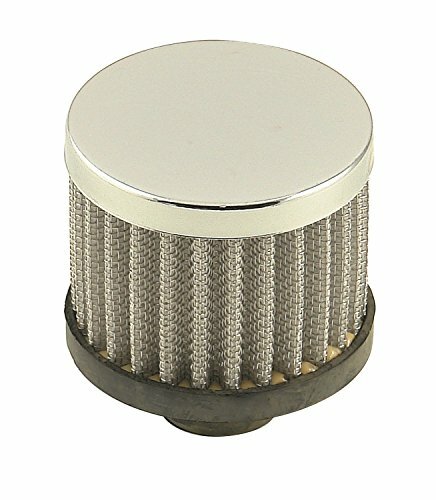 These new push on breather caps are internally baffled. They use a high-porosity material. The top and base material of these breathers is made of steel. 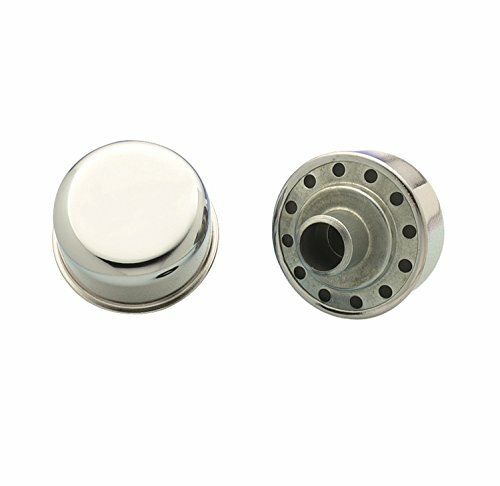 These push on oil breathers fit valve covers with 1.22 diameter hole. Easy push in mounting facilitates installation. 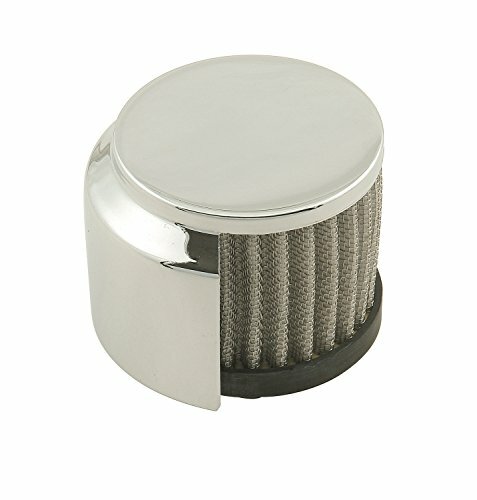 This chrome high performance push-on breather is internally baffled and uses a high-porosity filter for high performance use. 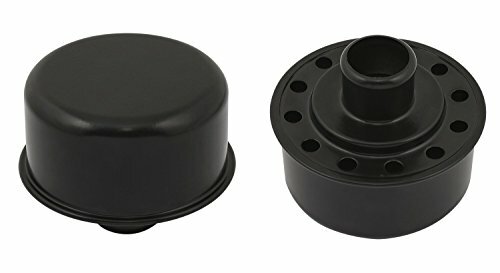 It fits factory and after-market valve covers with 1.22" diameter hole and has a grommet included which is individually packed. Mr.Gasket Hooded Open Breather measures 3-1/8" tall and features a beautifully chrome plated, 3" overall diameter top and a molded bottom. Ideal for off-road racing as well as for show circuit vehicles. This breather element features a synthetic filter which assures positive filtration yet can easily be cleaned with soap and water. It fits 1.22" overall diameter hole. Mr. Gasket Flat Black Valve Cover Breathers are a fast, easy way to help customize your engine compartment with that stealth look. Engineered for high-performance street vehicles with positive crankcase ventilation and race cars with vacuum-balance systems, these push-on steel breathers with PCV fittings have 1-inch outside-diameter necks and 5/8-inch breather tubes and an integral metal baffle/foam element setup. They're designed specifically for small-block Chevys but fully compatible with all factory and aftermarket valve covers with a 1.250-inch hole. Mr. Gasket Twist-On Style Valve Cover Breathers are designed to fit the engine oil filler tube. They are chrome plated and are corrosion resistant. 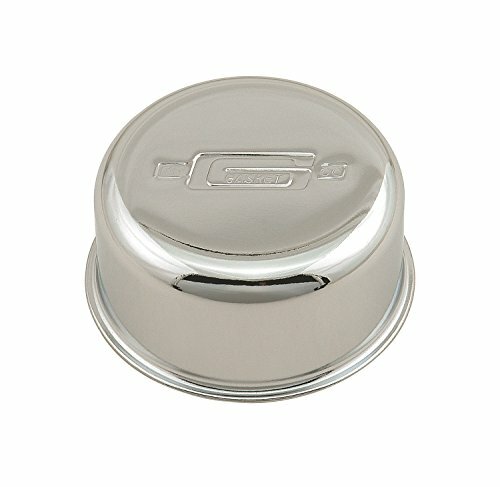 These covers are easy to use with custom chrome filler tube and are backed by a limited warranty. Mr. Gasket Breather Hood Valve Covers are designed to fit the engine oil filler tube. They are chrome plated and corrosion resistant. 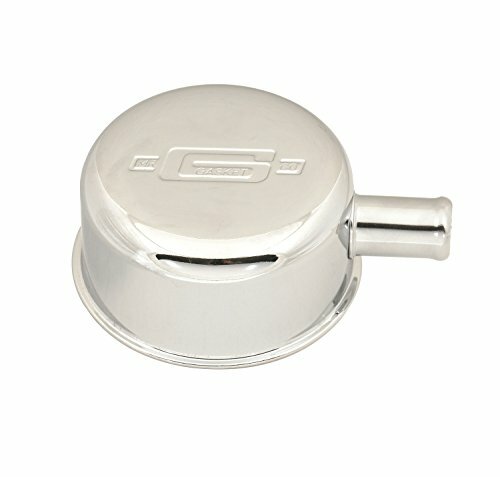 These covers are easy to use with custom chrome filler tube and are backed by a limited warranty. Want more Mr Gasket Breather similar ideas? Try to explore these searches: Panthers Christmas Ornament, Allied Brass Polished Shelf, and Accented Large Hobo.